From poetry to fiction to essays, American Lit 101 leaves no page unturned! Edgar Allan Poe. Willa Cather. Henry David Thoreau. Mark Twain. The list of important American writers goes on and on. These voices played a vital role in shaping the scope of American literature, and the United States itself. But too often, textbooks reduce this storied history to dry text that would put even a tenured professor to sleep. American Lit 101 is an engaging and comprehensive guide through the major players in American literature. From colonialism to postmodernism and every literary movement in between, this primer is packed with hundreds of entertaining tidbits and concepts, along with easy-to-understand explanations on why each author's work was important then and still relevant now. 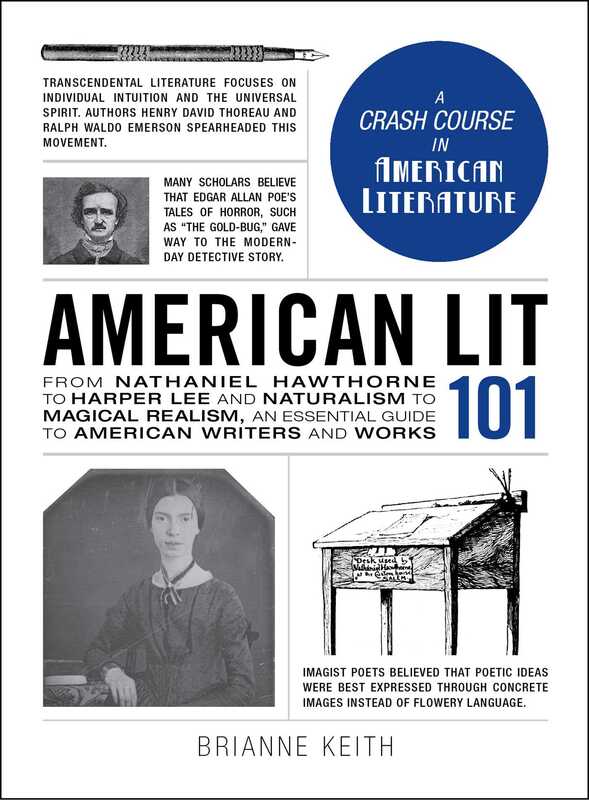 So whether you're looking for a refresher course on key American literature or want to learn about it for the first time, American Lit 101 has all the answers--even the ones you didn't know you were looking for.